Rochester Train Rides – Fun family train rides just 20 minutes from Rochester! 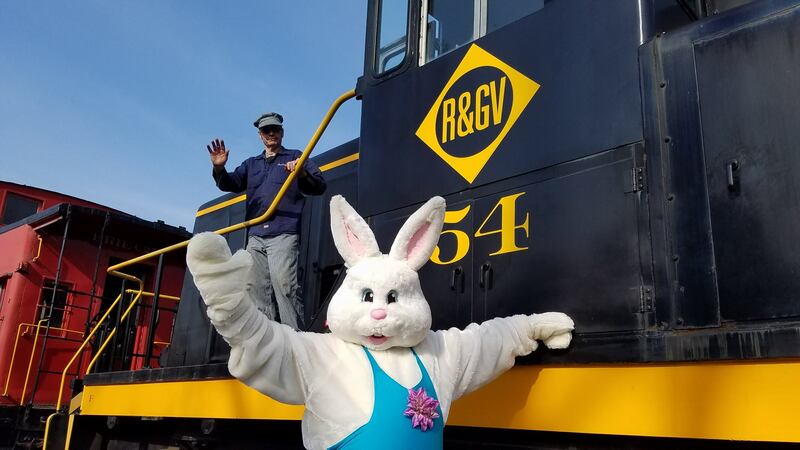 All aboard for Easter Bunny Train Rides on April 20! The Rochester & Genesee Valley Railroad Museum is home to the largest collection of historic trains in New York State. Your visit begins at our restored 1909 Erie Railroad train station located off Route 251 in the Town of Rush. Friendly volunteers welcome you aboard authentic freight train cabooses for a mile-and-a-half round-trip ride through our museum grounds. Tour our unique exhibits and discover Rochester’s rich railroad heritage. Take a peek behind the scenes inside our Restoration Shop. Join us for special events April through December! ALL ABOARD!